« It’s a sad day in the neighborhood. Some people are emailing and asking what I think about Lukey’s divorce, papers for which were filed today. Well, I can’t bring myself to snark on the dissolution of any marriage that involves children. That’s sad. Always. Instead, here are some horrifying pigeon videos to send you off into the weekend screaming for your mommy. 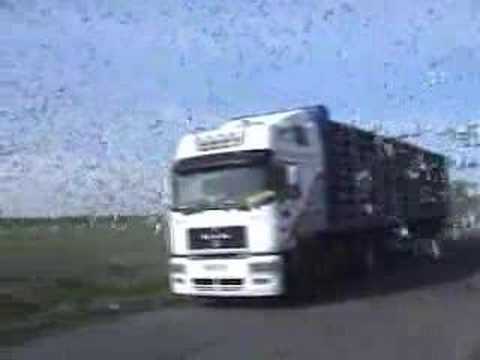 First, thanks to @mattlduff, here is a truckload of pigeons being released, I guess to start a pigeon race or something. That sound? That’s what hell sounds like 24/7. 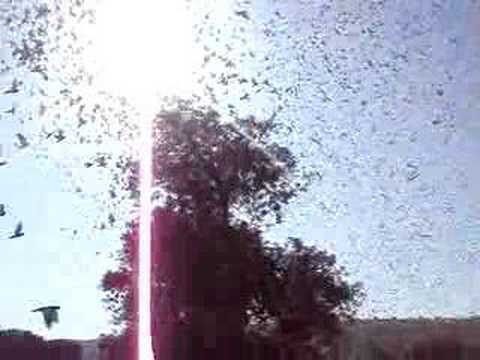 There are some anguished screams mixed in, but basically, its just flapping wings. That video led me to this video, which I believe may have actually been taken IN hell. 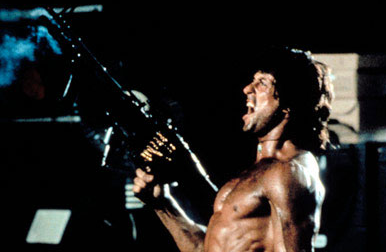 If I am ever anywhere near that many pigeons, I will go Rambo. That video led me to this video. That laughing? That’s how you know she’s got the Crazy. People want you to talk about Lukey’s divorce, and not the impending Port Authority service cuts? Or the fact that Corbett is cutting funding for PA state affiliated universities (ie – the good ones, Pitt, Penn State, Temple) in HALF? Or that he also doesn’t want to tax Marcellus Shale drilling at all? I get that these things might be a little controversial, but that hasn’t really stopped you in the past. Aint gonna be like lookin’ at Laverne and Shirley all weekend, fo shizzle. Just sayin’. I’m guessing the “Ginny, what do you think about Lukey’s divorce?” is more prevalent than “Ginny, what do you think about…..[fill in the blank]?” because she’s written more, and more recently, about the foibles of Duh Mayor. She’ll get around to that other stuff, probably bringing more candor and insight than a lot of others might bring to the issues. You’re right to leave it alone because there is a little boy involved. And there’s Luke’s wife and child to think about, too. Well played, bucdaddy. Well played. Agreed…plenty of other things to be focused on right now. Thank you, thank you, but to give credit where it’s due: Sometimes these things just write themselves.